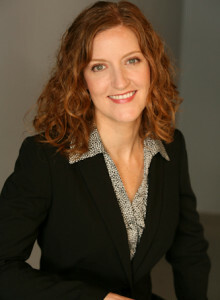 About Us > NCLR Staff & Board > Aubrey Hone, Esq. Aubrey Hone is the founding partner of Hone Maxwell LLP. She concentrates her tax practice on the full spectrum of federal, state, and local tax issues involving civil and criminal claims. Aubrey also serves as a panel attorney for the AIDS Legal Referral Panel (ALRP) providing free and low-cost legal services to people living with HIV/AIDS in the San Francisco Bay Area. Originally from Utah, Aubrey received her Bachelor of Science degree from the University of Utah in Accounting. She earned her Juris Doctorate and Master of Laws in Taxation from the University of San Diego School Of Law, where she was recognized for her work representing low income taxpayers before the Internal Revenue Service. After finishing law school, Aubrey worked as an associate in the Transaction Advisory Services – Transaction Tax group at Ernst & Young LLP. Aubrey also worked for the Law Office of Richard Carpenter assisting on federal, state, and local tax disputes. Aubrey lives in San Francisco with her partner Amanda.